Nothing in this world is black-and-white. I don’t condone cheating, but I can sometimes empathize with the circumstances that lead to its occurrence. Why do people marry? Who decided for it to be a social norm? Love is an emotional state; marriage is a legal contract – from whose moral perspective does one necessitate, or even relate to, the other? These are the things I don’t question, because going down that rabbit hole could mean pulling the ground out from under my feet in search of an answer that may not even exist. In some ways, I see myself in Miyoshi – her immaturity, her artlessness, her reckless disregard for a secure future that to an outsider seems like a mix-up of priorities. But deep down, she understands the most important fact of all: it doesn't matter. It doesn't matter if we choose shameless indulgence over decent abstention in this moment. At the end of the day, we go back to being alone. In Akutagawa Ryunosuke’s short story “The Handkerchief”, a grieving mother visits her dead son’s former professor, and feigns a smile while covertly ripping up her handkerchief under the table with trembling hands. The professor admires her restraint as an exemplar of Japanese “bushido”, later to find the same gesture described as a third-rate gimmick in a Western theatre reference book. Different strokes, as they say, for different folks. 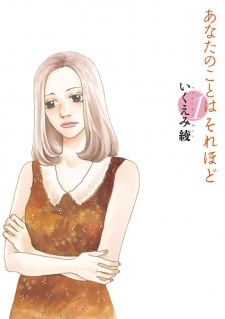 A different woman (such as Miyoshi's friend Iida) would have been touched by Watanabe's handkerchief-tearing act of love and repaid him with her full devotion, but to Miyoshi, he comes across as a clown at best and a lunatic at worst - and either convinces her that she's been shackled to the wrong marriage. Miyoshi and Arishima belong to the same class of people, who worship their freedom and define their own codes of conduct without much regard for the status quo. Watanabe is blindsided by his absolute morality, resorting to passive-aggression and violation of his own personal boundaries to defend the love he believes to be righteous. Togawa (Reika), on the other hand, clings to her ethics as the sole guiding light in a world that has been unkind to her, but feels understandably let down and lost when her perfect self-discipline fails her in securing Arishima’s fidelity. So the crux of the story hinges on which moral compass you choose to align with. The beauty of the rotating narrative is that you aren't allowed to get too comfortable in any one character’s shoes. None of the pairings really seems, in Miyoshi’s words, “destined to be”: two marriages wrought with inequalities, and two married individuals trying to make up for a lost chance at love built on shaky ground to begin with. Is Miyoshi’s obsession with Arishima any less frightful or absurd than Watanabe’s fixation on her? What makes her fail to see the parallel between their plights? What about Togawa? What about the surrounding remarks that she’s so lucky to have this charmed marriage, this charming husband – a husband who naively traded on their mutual vulnerabilities, when in reality he’s barely scratched the surface of her laboured fortitude? He was eating yakiniku with his family while she worked to support hers. Who are we as outsiders to judge how she should think and feel, how Watanabe should act, or to whom (or what) Miyoshi’s and Arishima’s loyalties should lie? Arishima said it well, “Sometimes good people can be detestable, and detestable people can turn out to be good.” But in relationships there are no good or bad people, only how much you’re willing to give and take in the name of love. The ones who are in too deep, covered in wounds of war; the ones who live a lie out of obligation; the ones who refuse to live a lie out of obligation _to themselves_; and the ones who forget themselves in the eyes of others – they’re all good and detestable in their own ways. To paraphrase Dazai Osamu: that, too, is human. The grand spectacle, circus, tragedy, and unknown that is human emotion.